Artist Dr Shalini Singh at her exhibition From the Earth. FRENCH Impressionism, street art and Afrocubanismo slide up against abstract expressionist forms in Shalini Singh’s exhibition From the Earth, now on at 101 Art Gallery. 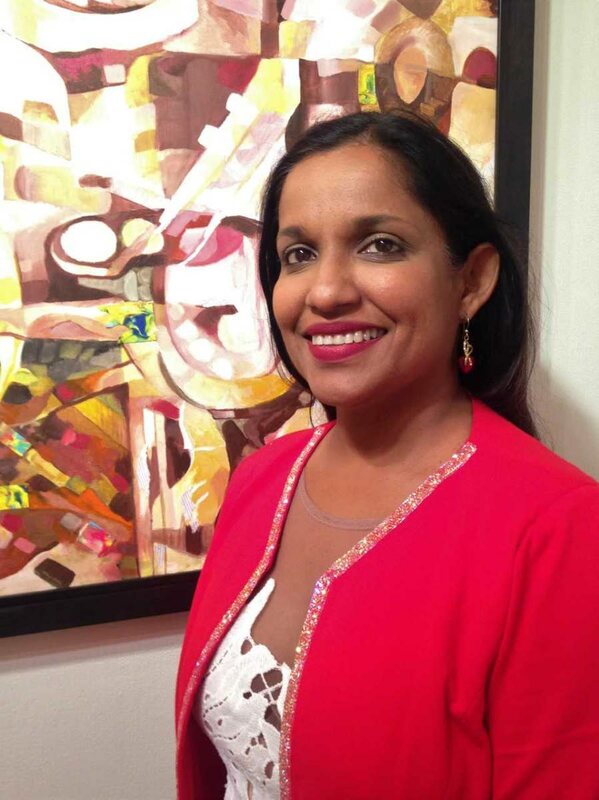 Singh already holds a PhD in art, but as a school art teacher at Diego Martin Central Secondary, she is doing a diploma in education at the University of the West Indies (UWI). Teaching and learning continue to influence her work, she said in an interview on March 18 at the gallery. One collage piece in the exhibition uses bits of paper from a DipEd assignment. Street art, Mexican Muralism and French Impressionism, topics she taught, bled into the new works in her show. 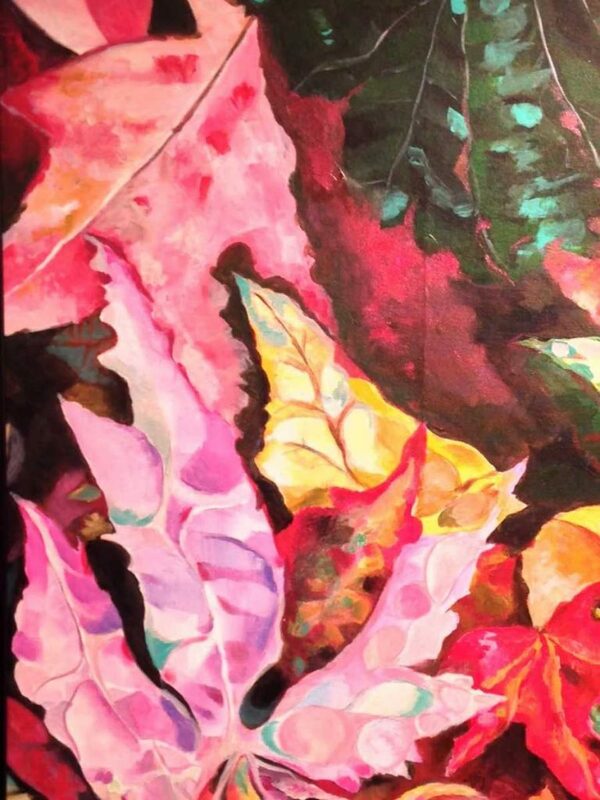 In Aurora: Northern Lights Shalini Singh employs her signature style to depict nature as its most sublime. “You show students pieces and in the process of talking about the work you find that there’s conscious and subconscious imagery that informs your own,” she said. 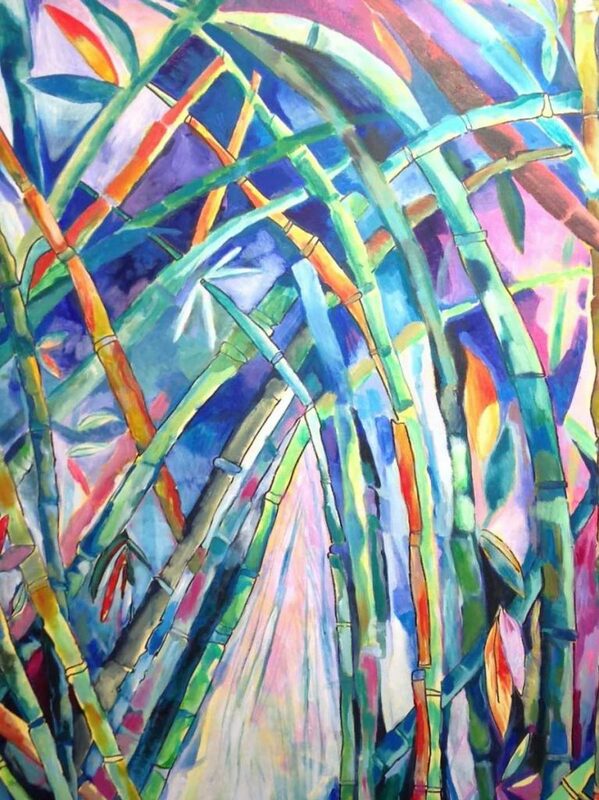 Cuban artist Wifredo Lam’s painting The Jungle was an inspiration for Enchanted Forest: Bamboo Cathedral. The painting, three feet tall and nearly as wide, in acrylic and ink on canvas, shows the distinctive pointed Gothic arches of the Trinidad tourist attraction while evoking the colouring and composition of Lam’s Afrocubanismo masterpiece. It’s one of Singh’s favourite pieces of the 30 in her show. 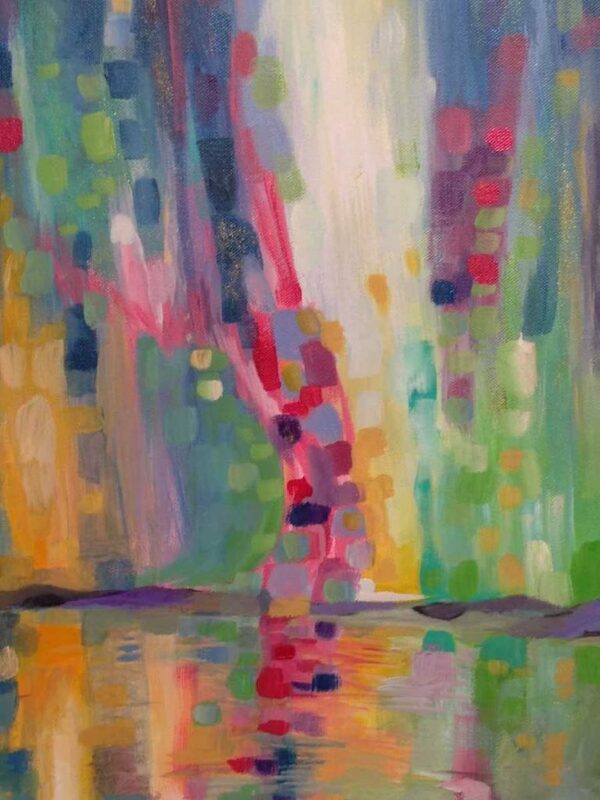 Painting to music and painting themes she draws from music are also part of her artistic process. Followers of Singh’s work will recognise her signature brushwork, the deliberate application of a series of broad square or rectangular points, as in the piece Aurora: Northern Lights. The rough dots flow upwards over washes of blended acrylic colour, suggesting the spectacular natural phenomenon. Nature’s destructive power hit uncomfortably close to home last year, when Singh was caught in the August earthquake. She was at a coffee shop at MovieTowne, Invaders Bay, Port of Spain, and remembers seeing the glass façade of the building quiver as the earth moved. 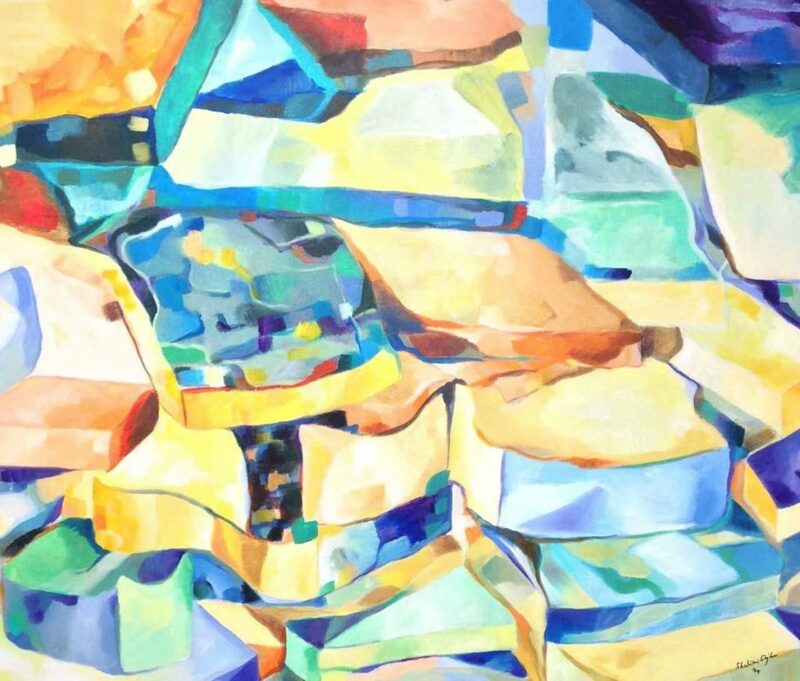 In her painting Tectonic Plates: Earth Movements, large, glassy-looking fragments seem to shift over and under each. Stylistically it is influenced by the work of founding abstract expressionist painter Hans Hofmann, she said. “I remember looking at some of his work where he uses these rectangles and squares, and doing that lyrical pushing and pulling of forms, which is what is happening with the shifting of tectonic plates. I was waiting for the earth to crack open,” she said. From the Earth opened on March 16 and runs until March 27 at the gallery, 84 Woodford Street, Newtown, Port of Spain. Reply to "Singh’s art: Offerings from nature"